Adventures of a Thrifty Mommy: One Year Blogversary Event: Angelina Ballerina: Dancing On Ice Review and Giveaway! - CLOSED! One Year Blogversary Event: Angelina Ballerina: Dancing On Ice Review and Giveaway! - CLOSED! Bella loves to watch Angelina Ballerina! She always says that Angelina makes her feel like dancing and frequently I catch her dancing along while watching her Angelina Ballerina movies! She was very excited to receive the newest Angelina Ballerina DVD entitled Dancing On Ice! This is another great hit from Hit Entertainment and Lionsgate, set to be released on October 11, 2011. This DVD contains 5 episodes of the adorable Angelina Ballerina program! Bella and I watched this together the other day while Daddy and Sam were running errands and we both loved it! This is a must have for your little Angelina Ballerina fan! Make her Christmas merry and pick up your copy on October 11th! It’s an “ice” time to be a dancer! Angelina, Alice and all of Camembert Academy prepare for the big ice show in the delightful new Angelina Ballerina: Dancing on Ice, skating onto DVD, Digital Download and On Demand October 11, 2011 from Lionsgate and HIT Entertainment. Whether learning a difficult new dance, looking for lost skates, juggling two events at the same time, or creating an original project for “Make-It-Up-Day,” the mouselings always strive to put their best toe forward! 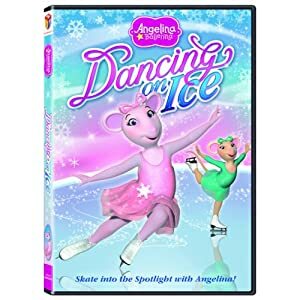 You can purchase your own copy of Angelina Ballerina: Dancing On Ice on Amazon for $11.99! Note: This movie is not available for purchase until October 11th, however you can pre-order it on Amazon! 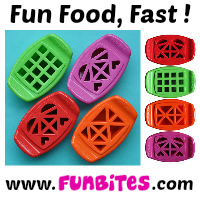 This giveaway ends October 24, 2011 at 11:59 pm. Good luck! I would love to win this for my daughter, Emma. She's 4 and has just discovered Angelina Ballerina with the Shining Star Trophy movie. She is now entertaining us with her dance moves and tells me that when she grows up, she can win the star trophy. So flippin' cute! Thanks! I entered your Sunglasses Warehouse giveaway. I entered your Novica giveaway. GFC follower and would love to win this for my 3 year old daughter. entered peter pauper paper giveaway.